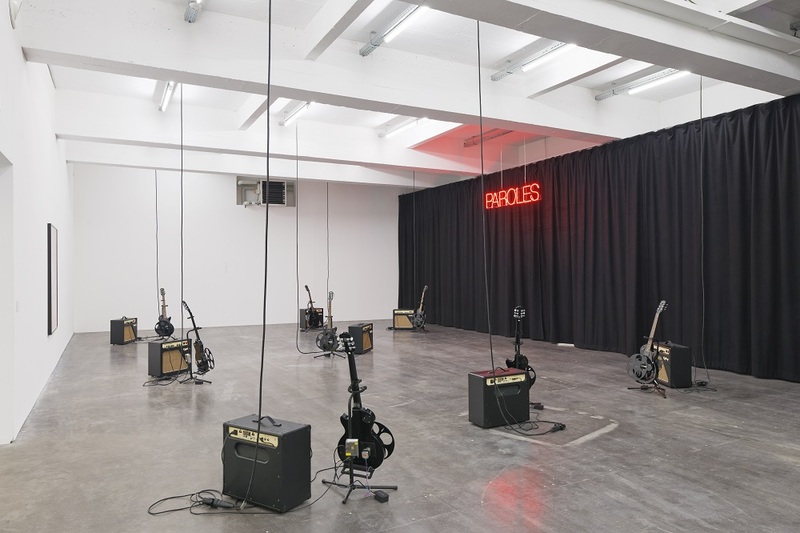 Black Chords is an installation by the French ‘post-conceptual’ artist Saâdane Afif, which consists of thirteen electric guitars and the same number of amplifiers that mechanically play a chord progression. In the installation, all of Afif’s focal points are represented: popular culture and pop music, the legacy of avant-garde and the position of the audience in relation to the art work. This way, with Black Chords, he brings about a moment of shared creativity.